Adam said the Big Bots Project was financed through a crowdfunding program. The project also includes researchers from Ben Gurion University's Cyber Research Center and Tel Aviv University. Rotem and Adam said they found no direct link between the network and Netanyahu or Likud. But Netanyahu's son Yair, who has run into trouble in the past for controversial social media activity, has frequently liked posts by the network's accounts. At a press conference convened to address the issue, Netanyahu dismissed the report sarcastically as an April Fool's Day prank. He called it a "false libel" by the media based on a "fake investigation." One Twitter user named in the report, Ziv Knobler, said in an interview with Israel's Army Radio that "there is nothing organized. We are a group of people who believe in the way of Benjamin Netanyahu." 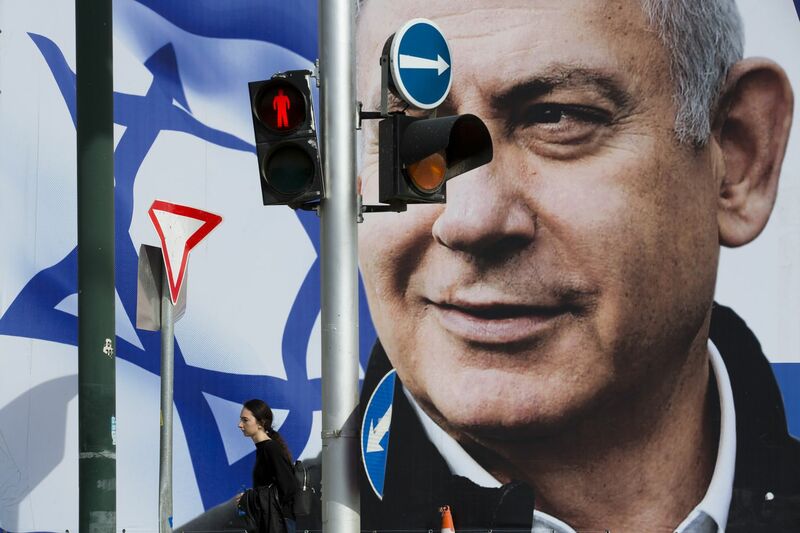 After the Big Bots Project's report headlined Monday's edition of Hebrew daily Yedioth Ahronoth, Gantz's Blue and White party wrote on Twitter that "Netanyahu is trying to steal the elections" and called for a police investigation to determine the network's funding.